Posted by Tom Wells in Story Awards. 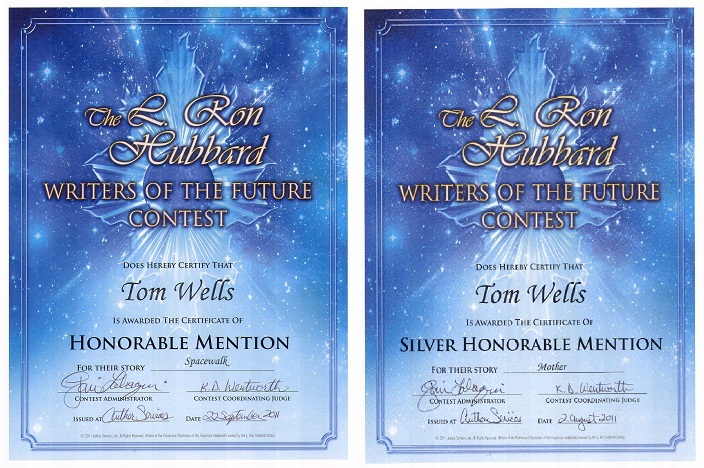 I just received the news today that my Quarter 2 entry in the Writers of the Future contest made it to the Silver Honorable Mention level. 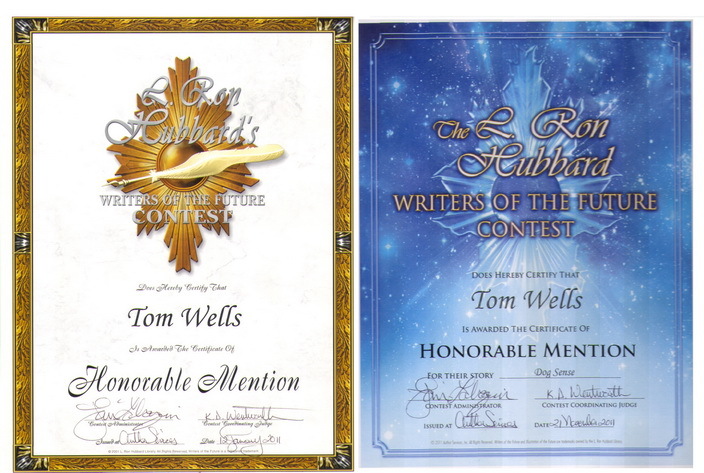 Of the 1000 plus entries, the top 10% are selected as Honorable Mention (HM) and the top 5% of the HM stories are deemed Silver Honorable Mention. “Mother” is a story about a NASA space probe that accidentally achieves artificial intelligence on its way to Alpha Centauri. The story will now be sent out for consideration at other publications. My WOTF entry before this one, Fall of the Faithful, gained an Honorable Mention and can be read here on my website. My next story has already been submitted for the 3rd quarter of this contest and hopefully it will show as well or better than my previous two stories.